According to recent American Lawyer surveys, summer associates are looking for fewer social events and more practical hands-on training. 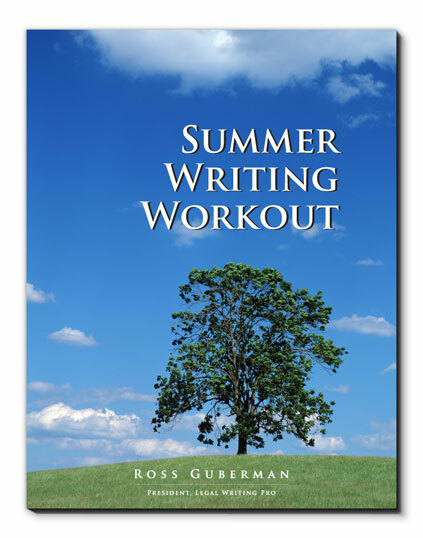 Consider offering your summers a three-hour workshop tailored to their specific needs. In exit interviews, past summer classes have rated the Summer Associate Workshop as one of the highlights of their time at the firm. If you’d like to learn more about our Summer Associate Workout workshop, please fill out the contact form below. Certain weeks book up early so please contact us to request a date as soon as you know your program schedule.